Welcome to Plan B’s premiere podcast. On a weekly basis, Susan San Martin, a retained executive recruiter, will bring practical, tangible insights related to your career, your job search, the hiring landscape, and the tools you need to find your next great career adventure. The first podcast discusses resume resistance and how to overcome it as well as what your philosophical approach to your resume should be. In addition to resume guidance, future episodes will include interviews with Communications and Talent Acquisition professionals, answers to listener questions, and much more. Plan B also welcomes feedback, which can be posted here or on our Facebook Page. Thanks for listening and we’ll talk again soon! Ready to Graduate? Get Your Career Off and Running. As a retained executive recruiter, the candidates whom I usually engage in my searches are those with a minimum of ten years of experience. 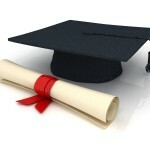 Having one daughter who is a recent college graduate and another one getting ready to start, however, I am sensitive to those fresh in their careers. From a purely selfish standpoint, the sooner our daughters (also affectionately known as Financial Black Holes 1 and 2) have their own bank accounts filled with the fruits of their respective labors, the sooner they’ll stop assaulting ours. For all others, getting off on the right career foot now means that they will be the highly desired candidates of future searches. Through my involvement in the International Association of Business Communicators (IABC), I am frequently invited to speak to graduating students about how to approach their job searches. The following counsel is what I provide directly to them. Cleanse your Facebook Page. For me, the first piece of advice I offer a soon-to-be graduate is to sit down in front of your Facebook page and pretend your grandmother is sitting next to you. While there is no disputing the depth of social media savvy that this generation of job-seekers brings to potential employers, random photos of you knocking back tequila shots (particularly if you’re under-age) may raise a few eyebrows in the Human Resources department of the company you’d like to join. As a recruiter, I learn everything I can about candidates as they are going through the interview process with my clients. I’m not hunting for the “bad.” I do, however want to make sure that there will be no surprises because it is highly likely that if I am looking around, the prospective hiring organization is, as well. I have had several instances where a simple search exposed less than flattering information about a candidate. I’d rather be able to counsel a candidate about that prior to it becoming an issue or at least be prepared to defend the candidate, if necessary. While the argument I always get is “Well, I’ve got my Privacy Controls on . . .,” it doesn’t matter because you may be tagged in a photo by a friend who does not. Be realistic about what your first job will look like. We all have a dream about that magnificent first job. You’ve worked hard for your degree and it’s understandable that you’d like to hit a home run straight off of the podium. Be prepared, though, the first one may not be magnificent in the way you’d like it to be . . . but, eventually it will be. Graduating candidates need to realize that in most cases, early jobs may include responsibilities that they’re not too excited about. Keep in mind, while hiring is picking up, companies that are finally expanding their payrolls will want those initial hires to be ones who can hit the ground running with less focus on “on-the-job training” and more focus on “we need this done yesterday.” These early jobs, however, provide breadth and depth to a later career that had its foundation in the candidate’s willingness to roll up sleeves and do what was needed early on to develop a solid reputation. •	Learn the organization’s culture. Figuring out how things are done can be as important to a new employee as actually doing the work. Companies, like people, have personalities; to work well together requires compatibility. Understanding the organization, how decisions are made, and the internal workings of the senior management team, will give you the guidelines for success. Be observant. •	Find a mentor. Many companies, through their onboarding processes, will match new employees with seasoned professionals who will show them “the lay of the land.” If such a program does not exist in your new organization (or even if it does) seek out people whom you would like to emulate. Most professionals will want to help and would be happy to answer questions and provide feedback. So, whether it’s through a formalized program or not, identify those with career paths that you respect and then watch, ask, and learn. •	Raise your hand. “Jumping in feet first” or “baptism by fire,” whatever the term . . . get involved. With staff rebuilding, there’s going to be more than enough work to go around. One way to get yourself noticed is by your willingness to pitch in. Whether it is project-based or part of an organization’s community outreach efforts, getting involved means becoming known and as long as your contribution is viewed as positive, it’s a good thing. •	Ask questions. Asking questions is not a sign of weakness; it’s a sign of curiosity and the desire to do the job right. •	Look at every relationship you have as a potential member of your network. From professors and former bosses to members of your church and your parents’ friends, let them know what you’d like to be doing. •	Participate. There is an industry or professional association for just about everything. Check out http://www.job-hunt.org/associations.shtml, which provides a free listing of hundreds of organizations, many with local chapters. Seek out and join student or local chapters of industry associations that are aligned with your interests and career goals. These provide not only valuable industry insight, but also the opportunity to meet professionals in both your desired career and geographic areas. •	Create a 30-second “elevator” pitch that you can use when introducing yourself to someone. Let the contact know who you are and where you’d like to go and never be afraid to ask for referrals. •	Create business cards that contain contact information and hand them out when you meet someone with whom you’d like to stay in touch. Build your resume. Use your internships and work experience to build the framework for your resume. Make sure to include volunteer activities that you participated in while in school. Even as a student, create a LinkedIn page and join groups that will bring exposure. Introduce yourself to group members. My company, Plan B Communications, LLC, created a Resume Template and User’s Guide that you may find helpful as you take on the process of putting your career on paper. You can find the links and accompanying article on my Examiner.com page here. What you’re getting ready to do is equally terrifying and exhilarating. Being prepared will ensure it’s more the latter than the former. Be open to opportunities, agile in finding them, careful in tending them and your career will be off to a great start. I am an executive recruiter . . . a retained recruiter . 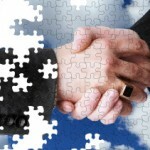 . . meaning that companies partner with me to identify and secure talent for key positions within their organizations. My expertise is search within the Communications and Marketing disciplines. Prior to executive search, I spent my career rising through the ranks of various Communications and Marketing roles; this is what I know and it was a very natural segue for me. My approach to search is very comprehensive. While my priorities are obviously with my clients, I believe in really getting to know candidates for two reasons. First, a deep conversation allows me to assess not only the “technical” fit of the candidate for the hiring organization — the “can this person do the job” fit — but it also allows me to measure whether this candidate’s own career trajectory is aligned with where my Client sees the role going. I also have the ability to determine whether this person will be the right “fit” for the organization; culture fit can be as, if not more, important than “technical.” Second, I enjoy getting to know the broader circle of candidates because I know that if you, Candidate, are not right for a current search, you may be for the next one. All of these conversations start with resumes . . . my first glimpse into a candidate’s professional story. With the process of getting to know you, can come the familiarity that is usually preceded by, “can I say something to you without hurting your feelings?” It’s the way you feel when you know you should point out to your beloved uncle that his shirt and tie are so mismatched that to let him go out in public would be devastating. I feel that way about candidates and their resumes, at times. More often than not, I have to tell a candidate that he or she is simply not right for the search. Many of those times have been followed by a “may I make a comment about your resume?” And then I’ll share what didn’t work for me. Sometimes, it’s as simple as a misspelled word or a spacing issue; but frequently, there’s something else . . . something that goes deeper than a technical misstep. It’s more about the fact that what you’ve told me, Candidate, is not what your resume is saying. There’s a disconnect. Because reading resumes occupies so much of my time, it is inevitable that certain styles will stand out more than others — for good or for bad. As I mentioned in “Is Your Resume Guilty of Horror Vacuii,” a preferred style started emerging after an exercise where I spread dozens of resumes across a table. I then started pulling out the resumes that caught my eye because they were attractive . . . they stood out because they were inviting. 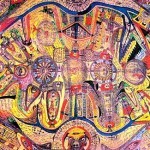 I would then focus on content; it was a case of form over function, at the outset. When delicately broaching the subject with candidates, I found myself making small suggestions . . . hints about how a few changes to his/her resume could provide a more accurate reflection of who they are as a candidate. In some cases, I rewrote sections . . . in a few instances, I’ve completely overhauled resumes. The suggestions, though, were always consistent with what I saw in the “survivor” resumes from the Great Table Experiment of ’09. 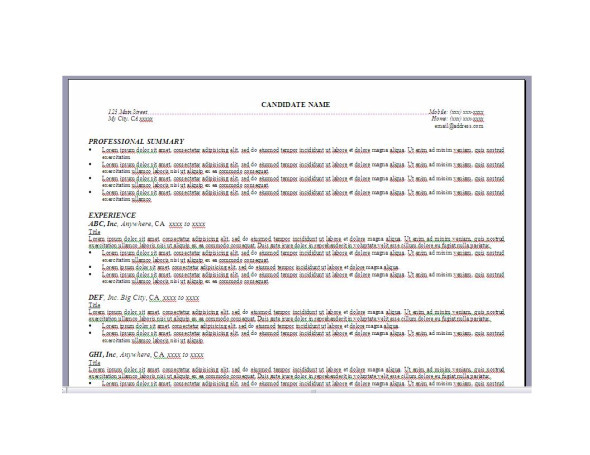 Because resume writing is not a service I provide, and the process is so time-consuming, I started pulling those sections together and forming a template that could help those who wanted it. I shared the finished product with several members of the Plan B community who were actively seeking new positions. 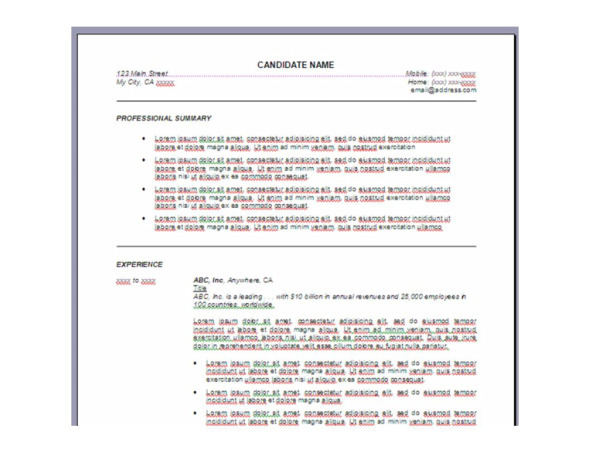 I wanted to take the template for a test drive and am happy to say that those candidates received very positive feedback about their new resumes. As I was getting ready to release the template to a broader group, I thought it would be appropriate to provide an accompanying explanation of why I was recommending certain styles or approaches. I soon realized that this would be no small feat . . . that a few paragraphs would not do. Thus, the User’s Guide, which contains about 80 pages of resume guidance from my perspective, was born. As I mention, you can ask 100 recruiters or resume writers or career coaches their opinions and get 100 different answers. These are mine based on what resonates best with me. With the hiring landscape improving, why not improve your opportunity for being noticed by making some changes . . . or completing overhauling your resume? I am attaching the Resume Template and the User’s Guide. I’m more than happy to answer questions about either or both, here, or on my company’s Facebook page. While future posts to this column will continue to focus on job search and career management issues, I hope you find these tools helpful as you start the New Year with a new perspective on your search efforts. Your job search toolkit — Part Six: Is your resume rude or has it made the proper introductions? We love to have people over and our best times are when we’ve mixed up the crowd a bit. Last week’s Thanksgiving was typical for us. For dinner, we had 14 and by the end of the evening, we added another seven. Besides the U.S, countries of origin of our guests included Argentina, England, India, Taiwan, and Italy. We and our guests are aerospace engineers, marketing managers, human resources directors, architects, musicians and sound track composers, venture capital analysts, college professors, business managers, credit union CEOs, students, and – of course – executive recruiters. In the precious hours leading up to the first arrival, as I stood in the kitchen, stirring, sautéing, baking, and barking commands, I also thought about, while caramelizing shallots, how to introduce everyone. How can we make sure that every guest knows enough about each other that they will sit together, talk comfortably, and want to know more. Meaningful introductions, especially with a diverse crowd, are critical to everyone having a good time. To not do so would be rude. Is your resume rude? At least 75% of the resumes I read would be guilty. If you feel strongly about introducing your guests, why wouldn’t you do the same for the companies you’ve worked for? Think of how much more meaningful a conversation is when you know a bit about the person with whom you’re speaking. It’s critical that you do the same when describing your experience. Take a look at your resume. You spent five great years at XYZ Corp. Do you introduce who they are and what they do? Most of you don’t . . . and you should. Don’t grapple with creating a few lines about what XYZ does, regardless of whether the company is publicly-traded or privately held. Look up their stock symbol on a financial website like www.finance.yahoo.com where there’s always a profile or go to the company’s “About Us” link on their website. How does the company describe itself to the public – what’s important to them — and then ask yourself how you contributed to that and then tell the reader how. To demonstrate, let’s take a look at the top company on the Fortune 500 list: Wal-Mart. From their “About Us,” use a few lines to introduce them after you list them as job experience on your resume. Walmart serves customers and members more than 200 million times per week at more than 8,159 retail units under 55 different banners in 15 countries. With fiscal year 2009 sales of $401 billion, Walmart employs more than more than 2.1 million associates worldwide. A leader in sustainability, corporate philanthropy and employment opportunity, Walmart ranked first among retailers in Fortune Magazine’s 2009 Most Admired Companies survey. * Responsibility or accomplishment, #3, etc. You get the idea. As you describe your roles, keep how the company views itself, top of mind. Tie your responsibilities and contributions to the company’s mission and while you may not have held roles that directly impact the bottom line, you, undoubtedly, supported the leader or group that did. Of course, not every company is as recognizable as Wal-Mart. I have found that many candidates can be defensive about working for start-ups and small companies. Get over that . . . and quickly. These types of companies require and nurture skill sets that are becoming increasingly important in a more competitive marketplace (entrepreneurial mindsets, budget-consciousness, hiring key talent . . . and the list goes on.) You may have worked for the greatest company that no one has ever heard of so its mission must be introduced, as well. XYZ Corp. could also be the world leader in the production of widgets, but if the reader hasn’t heard of them, your contribution will have less impact. 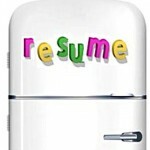 Your job search toolkit – Part Five: Using your refrigerator for resume inspiration. Several years ago, we started a tradition of buying a refrigerator magnet from every place to which we’ve traveled. It started off as a quirky habit. After two successive and successful Mars landings, Spousal Unit and I went to Moorea so he could melt into a beach. The magnet of the lagoon surrounding the island was lovely but looked lonely on the refrigerator door . . . hence the tradition was born. Whether it’s a stopover in Newark, an 18-hour trip to Vancouver, Financial Black Hole #2’s seventh and eighth grade trips to France and Italy (is there a color darker than black?? ), or weeks visiting family in Argentina, the magnet is a must . . . and they’re all there, all eliciting specific memories. It doesn’t have to be a magnet, though . . . it could be a trophy or a certificate. It is a snapshot of a moment in time that was meaningful. There’s a story that goes with each, whether it’s a great family vacation or a professional triumph. It’s the latter that we should be focusing on as we tell the story of our careers. For most job-seekers, capturing the highlights of one’s career and explaining the value brought to an organization is a nail-biting experience. What do you highlight? How much is too much . . . or not enough? How do you connect your “greatest hits” with what a prospective employer is looking for? Assuming you have grabbed the reader with your Executive Summary, how will you now move on to tell the story of what you have brought to specific organizations? There’s the technical part of the presentation, which we’ll address in the next post, but now is the time for you to determine, from a philosophical perspective, how you brought value. What made you memorable? What I find, even with the more senior resumes that are sent to me, is that many job-seekers fall into the habit of regurgitating every single thing they’ve done in each role . . . the “first I did this and then I did that” syndrome. This could have you perceived as tactical, not strategic. Do you want to be considered as someone who will act as a forward-thinking business partner for the organization or as the go-to person when something needs to get done an hour ago? Both roles bring tremendous value to organizations and there’s always overlap, but the distinction can be important. Remember, you just described yourself in a certain way in your introduction. Make sure how you are describing your experience matches that message. Pull out those specific experiences that made the role – and you – memorable . . . just like that magnet on your refrigerator. 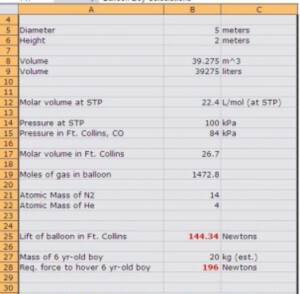 What job search lessons can we learn from NASA Engineers and Balloon Boy? I am digressing from the Job Search Toolkit series for one article because I just had to share this. > Conclusion: The kid wouldn’t have gotten off the ground. > That is actually closer to flying than I thought. > too small to fly a kid. > Good example of mass (internet facilitated) hysteria I guess. > possibility that it could get off the ground. > In other words, I was still **** my pants for that kid. > By the way, this is beginning to sound like a publicity stunt. > engineer and slightly more proficient at being a nut. It goes on but I’m stopping here because they start delving into conspiracy theories that have no eventual connection to job-hunting. Well, I don’t know about you, but they’re blinding me with science. What I did stagger away from the exchange with was the realization that looking at the incident and applying cold hard facts, could have saved a lot of people a lot of anxiety. There’s something to be learned from that process as it applies to your job search. I looked at indeed.com and created the filter for “corporate communications” (in quotes) roles that are within ten miles of my home zip code (when looking for a job in Southern California, commuting time is an issue for most.) There were three. When I broadened to a 25-mile radius, the number of jobs increased to 77. If willing to travel 50 miles, the number hits 99. Removing the quotes around corporate communications, by the way, provides 315, 3,228, and 4,905 jobs, respectively. What does this mean? It means that the data reflects a growing number of opportunities if you make some adjustments to what you are looking for; in this case you are spending more time in the car, but you have more opportunities to pursue. Even with all the data the Bureau of Labor Statistics can provide, it’s still going to be emotional, we all have to accept that. But, try to make it less so; with some adjustments to your data, you have more control of the job search situation than you may think. 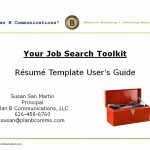 Your job search toolkit – Part Four: Your Executive Summary . . . reel the reader in. I was talking with my husband about the theme for the next post and I told him I was going to play with Mark Twain’s quote “Genius is one percent inspiration and ninety-nine percent perspiration.” Aerospace engineer spousal unit (introduced in a previous post) then said, “I think it was Albert Einstein who said that.” I thought, yeah, right . . . always looking after your own, but I responded with, “well, I think it’s Twain, but it’s an easy mistake . . . they both look alike.” It seems we were both wrong . . . it was Thomas Edison. I gave the point to spousal unit, though, he came closer. The point of the quote, though, is that good things never come easily . . . you really need to work at them. As far as your resume is concerned, we’ve talked about having different versions (depending on the position you’re seeking), to reflect on where you’ve been and where you want to go, making your resume a breathing document, the technical aspects, and the unintended messages your e-mail address may be sending. Today, we’re going to address what could be the most important part of your resume. For me, it’s the first place I really look when assessing candidates, and it could be the last, depending on what I’ve read. It is your professional overview, executive summary . . . whatever you choose to call it. It should be one percent aspiration and ninety-nine percent inspiration. 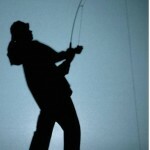 This is your opportunity to reel the reader in. Make the most of it. First of all, unless you are a recent college graduate, never call it a Professional or Career Objective. “Seeking a position that will utilize my skills in . . .” doesn’t cut it. Of course your objective is to find a job, you’re submitting a resume. This is where paying attention to the position description for the job you are applying to is particularly important. The position description is front and center in my mind when I start reading the introduction. I’m having appetizers with you; make me want to stay around for dinner and dessert. Now, you will artfully mold your experience into what the prospective employer needs. Let’s get one thing straight, however, don’t misrepresent. What you’re doing is encapsulating your career into an action-packed paragraph that will leave the reader begging for more. Practical but transcendent. Some may refer to it as personal branding, but one thing to remember is that with tightening corporate budgets, there are fewer people doing the same amount of, if not more, work. It makes sense to have a few different brands; just make it plug and play. If I see a solid combination of these phrases in that opening paragraph, you could be everything I hoped you’d be and, perhaps, more. My latest favorite resume handles this type of introduction beautifully. The candidate begins the introduction of the resume with a centered, solid cap of what this person is – CORPORATE COMMUNICATIONS EXECUTIVE. This particular resume doesn’t use the terms in Column A and B, but this introduction is equally effective because that’s one of the primary qualities I am looking for in a candidate. The candidate then provides a one-paragraph introduction. It contains most of the Primary and Secondary Qualities, but also uses other terms that fill in the picture with additional important information, such as MBA, global, and spokesperson, among others. It’s one paragraph . . . solid, strong, and effective. What this candidate has accomplished is to provide a powerful introductory paragraph that contains most of what I have identified as key qualities. Additionally, the section I refer to above brings it all home. I am now engaged in this resume and eager to learn more. I have a great sense of who this person is and what he/she could bring to my client. This professional has reeled me in. Your job search toolkit – Part Three: E-mail addresses . 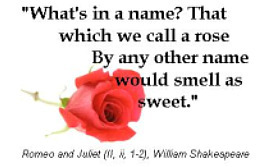 . . what’s in a name? You’d be surprised! I don’t exactly remember when I first heard about this, but once I did, it changed my movie going experience forever (or, at least until I found out many years later that the “research” was debunked.) As the story went, theater operators would knowingly lure people to concessionaires by flashing a message about popcorn during the previews. It happened so fast that it was imperceptible, but the subliminal message, purportedly, made us head in droves to snack stands before the movie started. Zombies in need of popcorn. I hated the “fact” that someone or something had that kind of power over me and my appetite so I started watching, waiting for that flash of a message and I planned to use every ounce of self-restraint not to fall prey to it. Do you know how difficult it is not to blink when you really need to? Yet, I never saw it, not once. And I showed them, I stocked up before going into the theater . . . on my terms. Yeah. •	Year of Birth: I see this one most often. Avoid using what can be construed as the year of your birth. You could be unintentionally predisposing a reader to thinking you may be too qualified or not qualified enough for the particular role they are looking to fill. •	Religion: Very sensitive subject, I know, but like the next topic, proceed with caution. •	Political Affiliation: Making your chosen party obvious could cause the reader to wonder whether you are too conservative/liberal for their organization . . . or not. •	Sports team names: Leave them for your personal e-mail addresses. As rabid a Yankees fan as you may be, the reader may be a super-sensitive Mets fan who painfully recalls the 2000 World Series and the long-awaited Subway series where we got our butts kicked . . . I mean theirs . . . .
•	Pet names: You may love your dog, your cat, or your ferret, but don’t leave the reader wondering more about Rover than your last three positions. •	Hobbies: We all have them, love them, get frustrated by them, but should your obvious love of cooking have a hiring executive wondering if you’ll bring in fresh-baked muffins on Monday mornings. •	“therandomnumberofus” OR “thelastnamefamily”: We love our families but could tenofus@xyz.com or fourofus or whatever the number, leave the reader wondering what happens when there’s a flu epidemic . . . sharing is not always caring. Also, do you want to send the message that your 13-year old daughter may be accessing the family e-mail account?? •	Adult Beverages: Unless your name really is Bud Miller or Sam Adams, change it. You don’t want the reader thinking that you could be the next official Happy Hour Organizer, and I have nothing against Happy Hours. •	Love to Shop: That’s great, but does that mean that lunch hours can be stretched to accommodate local sales events? •	Pirate Names: arrgh . . . don’t use them. •	Love of Travel: This is wonderful but don’t have the reader ponder about whether your employment could include an endless array of three and four day weekends. All of this said, there is one situation where not using your name is fine and that’s if you are a consultant or a freelancer and instead of your name, you use an e-mail name that incorporates your talent. It’s true that an e-mail address is personal and can be another mode of self-expression. It may be worthwhile, however, to consider how your need to share may be perceived by readers on the other side. You don’t want them setting aside your resume to get some popcorn. Your job search toolkit — Part Two: is your resume guilty of horror vacui? Dr. Belloso was my Art History professor at St. Joseph’s College in New York. I remember loving the course and now, many years later, a deep appreciation and fond memories of her gentle yet enthusiastic way of sharing her passion for art, remain. She segued from era to era tying history to the cultivation of humankind’s perception of the world around it in artistic ways. But the memories have melded over time, the time periods and their characteristics less distinct. One principle, though, has stayed with me and I remember the class as though it were yesterday. Perhaps, it’s the daily reminders I have as I review resumes. It is the principle of horror vacui – or fear of empty spaces. It’s at times attributed to the Mycenaeans, the Greeks, the Arabs, or the Aztecs, among others. For me though, I attribute it to candidates who see developing their resumes as a chore. “There . . . it’s done . . . time to check CNN.com!” I have decided that I, as far as resume design is concerned, belong to the school of minimalism, the opposite of horror vacui. As mentioned in the previous post, your resume should be a breathing document. To do that, it needs room to breathe. To test the influence of visual appeal, I spread about 60 resumes over my dining room table . . . the largest and usually only clear space in the house (maybe I should practice what I preach??) I then started pulling out the ones that caught my eye . . . in a positive way. About 40 were left on the table and if there was a horror vacui wing at the Getty Museum . . . these would be in it. In the age of Applicant Tracking Systems, this may, to some, seem obsolete but I remain firm in my conviction that computerized candidate assessment programs are not all things to all searches. The more specific the niche or role in the influence of broader corporate culture, the more important the personal touch in the hiring process. So, let’s talk about the 20 resumes that went on to the next round. In this post, content is not as important; today, it’s all about looks. These opinions, by the way, apply equally to those resumes I am viewing onscreen. Actually, if I’m not engaged by what I am seeing on my computer, the resumes don’t get printed. In this post, we’re going to talk about mechanics: fonts, sizing, and space. Sometimes, a candidate’s choices in these areas are influenced by the pre-conceived notion of how long one’s resume should be. If you’ve had a rich career, and there is self-imposed pressure to keep it to two pages, most candidates will try to achieve that by font size and spacing. If I receive a one-page resume, you probably don’t have the depth of experience I’m looking for on behalf of my clients. If you send two pages and I need a magnifying glass, you may be passed over. Some of my favorite resumes have been between three and four pages long. Don’t risk being overlooked because you feel restricted by the number of pages you should use to market yourself. Fonts: I loathe Times New Roman (TNR) on resumes. ITRHO (in this recruiter’s humble opinion) TNR is old-fashioned and not as easy to read. Numerous studies have been conducted about the choice between serif and sans serif fonts, particularly for online viewing. There’s nothing conclusive about the best choice, but there appears to be a slight leaning toward the use of sans serif (like Arial, Verdana, etc.) Should you find yourself with some time to spare on a soccer field one of these weekends, take a look at this article, www.alexpoole.info/academic/literaturereview.html. It’s quite comprehensive and I’d like to point out that it was posted in a sans serif font, my preference. Sizing: For resumes, never smaller than 10 pt. – and the readability of this will be affected by font selection, by the way. I think 12 or 14 pt. for headings and 10 pt., but preferably 11 pt. or 12 pt., for the resume’s body works pretty well. You’d be astonished at the number of resumes received that are in 8 pt. or 9 pt. font size. It’s like looking at one of those matchbook covers that purportedly has the whole Bible written inside. Avoid the “how many clowns can you fit in a small car” syndrome. Spacing: Again, your resume needs room to breathe. In fairness to you and your experience, create an environment where each bullet or sentence provides a pause for reflection . . . allow the reader to digest what they’ve just learned about you. Design the space, don’t force yourself into it. I would recommend top and bottom margins to be no smaller than .5 inches. Right and left margins should be no smaller than .75 inches. To have your experience stand out, I would use .6 pts. between bullets and/or sentences; slightly more between positions. This shot was done in TNR with 10 pt. headers and 8 pt. body size (again, based on actual resumes I have received.) The margins are .38 inches all the way around. The page below was done in Arial with 12 pt. and 10 pt. fonts and the margins mentioned above. Your Job Search Toolkit — Part One: Do you have the right perspective about your resume? I have approximately 187 cookbooks. They range from the obscure, “Classic Deem Sum” by Henry Chan and Yukiko and Bob Haydock, to the sublime, Thomas Keller’s “The French Laundry Cookbook.” While I have opened all of them at one time or another and cooked from the majority of them, there are perhaps ten that boast oil-spattered pages and hand-written commentary about the success of that dish and/or any changes made. Why? Because they are the tried and true recipes that have never failed me. While I have no problem experimenting on people – even those whom I don’t know well, there are those recipes that are, in effect, my cooking toolkit: the reliable recipes that will impress without stress. The ones that I am so confident about that I can change cilantro to parsley because there’s parsley growing in the garden and I don’t have time to get to the market; the taste may change slightly but I won’t have to duck and cover. Can we do the same for the job search process? 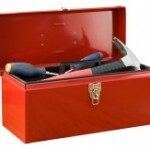 What should be in your job search toolkit and how/when should you deploy those tools? As an executive recruiter who has read thousands of resumes, conducted hundreds of in-depth phone, video, and in-person interviews, I know what engages me. Over the next several posts, we’ll discuss the tools that you should have at your disposal. We’ll range from philosophical to tactical. Again, these are my opinions, but I know what makes me take notice and if sharing some of these experiences assists you with your career transition during a tough time, then I’m happy to help. In a previous post, we talked about making sure that you have a point when you’re reaching out about a particular position. Let me leave this first part of the series with a few general comments about resumes. There’s great debate about whether traditional resumes will become the latest “do you remember when,” victim of technology and social media advances. Will they be replaced by personal websites, social website profiles, and video introductions? ITRHO (in this recruiter’s humble opinion) don’t give up those templates . . . just yet. While those newer tools may enhance a candidate’s story, there’s nothing that will provide rapid insight into what a professional can bring to an organization like a well-designed, well-written resume. A busy human resources, talent acquisition, or recruiting professional will not be able to work too hard to learn about you, so make it as easy on them as you can. Over the next several columns, we will deconstruct a resume, but closing this post as we started – with the theme of cookbooks, let me leave you with some initial food for thought regarding your resume. Make sure that you’ve got the right perspective. Your resume should be a living, breathing document, not something that you have to do because you’re looking for a job . . . that makes it a chore. I hear the pain in candidate’s voices all the time: it’s not easy and it’s not fun. Changing your perspective, however, may help. A regular review of your resume should be something you schedule. Whether it’s weekly or monthly, make yourself a reminder to visit it. Treat it like a hair appointment or a trip to the gym. Put it in Outlook or your cell phone. Think about it . . . if you’re actively engaged in the search process now, you will be receiving feedback. Think about conversations you’ve had that week and the feedback you’ve received. Was there something on your resume that sparked a conversation or resonated well with someone? Highlight that! On the other hand, are there points that drew some scrutiny or questions and should be reconsidered? Change those, as well. Checking in on your resume on a regular basis will keep you on your toes and improve how you’re marketing yourself and how you’re first perceived by your future employer.